After a 3-year stint in the Indian car market, the Mobilio seems to have gone off the shelves. Much of this has to do with the lackluster sales performance by this Brio-based MPV. The Mobilio was a direct rival to the very popular Ertiga MPV. However, the Mobilio could never catch the fancy of MPV buyers, who continue to prefer putting there money on the Ertiga instead. The company had earlier discontinued the production of the Mobilio. With the dealers finaly running out of stock, chances of Honda Cars India re-energizing the production seem to be pretty bleak at the moment. 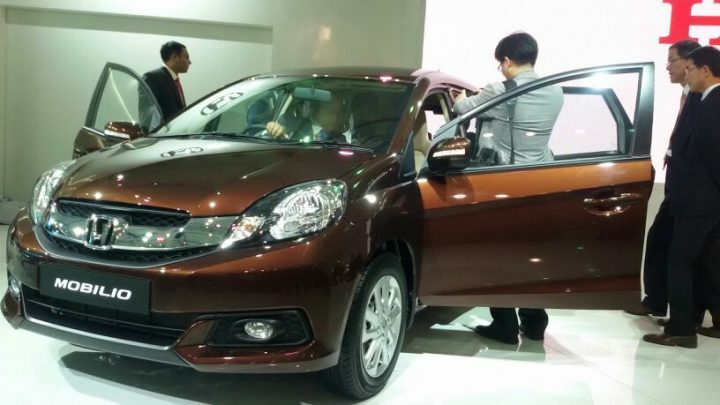 That said, we are yet to receive an official word on the Mobilio’s discontinuation. 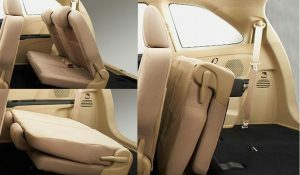 Honda has launched new variants of the Honda Mobilio almost a month after the compact MPV was launched in India. The new variants get a new multimedia and navigation system and faux-wood trim on the dashboard and doors. The media cars at the pre-launch drive were offered with these feature but the company decided to launch these later as the multimedia system was very glitchy. These new variants will replace the ‘V’ variants as the top-of-the-line variants, the new variants have been christened the V(O) and the RS (O). The addition of the new variants bring the total to 10 variants. The new additions to the V(O) and RS (O) variants include a multimedia and navigation system with reverse camera display and faux-wood trim on the dashboard and doors. The nav-system features a 15.7-cm touch screen loaded with maps, satellite-based voice guided navigation, and in-car entertainment and connectivity features (DVD/CD, Bluetooth, USB, AUX, i-POD, MP3, FM/AM). The system comes with integrated Bluetooth connectivity option for calls and music. The built-in navigation features a smart-keyboard which allows users to key in/search locations. 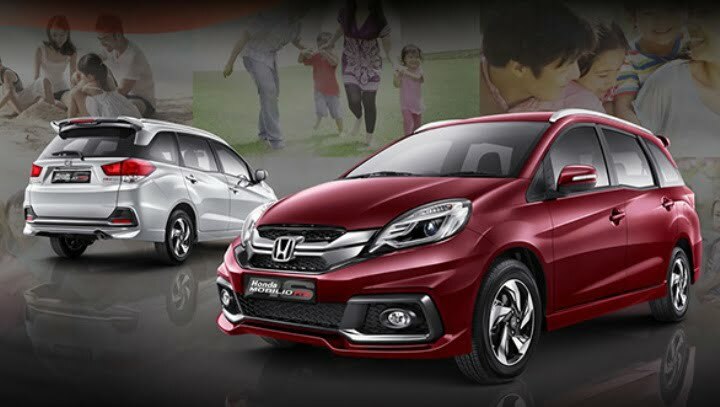 The Honda Mobilio MPV will be launched today. The deliveries of the first units will begin soon after the car is launched later today. The Honda Mobilio will be offered with both diesel and petrol engines, with three variants each. The RS variant will be exclusively offered with the diesel engine and will only get cosmetic upgrades over the top-of-the-line Diesel V variant. The petrol variant powered by a 1.5-litre i-VTEC engine returns about 17.3 KMPL while the 1.5-litre ‘Earth Dreams’ i-DTEC diesel engine returns 24.2 KMPL as per ARAI test results. The Honda Mobilio MPV will be launched in India on the 23rd of July 2014. It is expected to be a major seller for the company in India and is expected to give the MPV segment in India a big jolt. High localisation means that Honda will be able to price the MPV very aggressively and it is expected that customers will be attracted to it for it’s value-for-money proposition. The top selling points of the Mobilio are expected to be the interior space, features and the availability of a frugal diesel engine, and to some extent the styling. Honda will also offer the Mobilio RS variant for those looking for a ‘sporty’-looking version of the MPV. This variant will get different headlight design with projector lamps and LED daytime running lamps, a different grille, a bolder font bumper with chrome garnish around the for-lamp enclosure, aggressive rear bumper, side-skirts and sporty-looking alloy wheels. On the inside the Mobilio RS will get faux-wood garnish, leatherite seat covers, illuminated door sills and a touch screen infotainment system. The Honda Mobilio RS will be launched a few months afterwards. 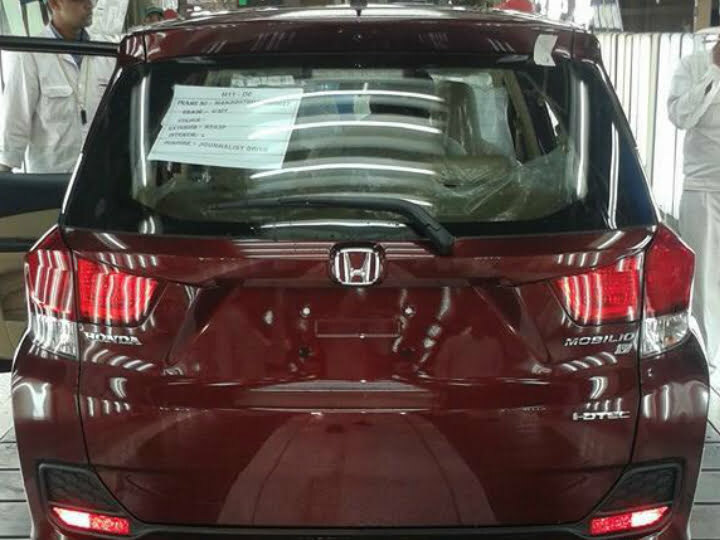 The test production of the upcoming Honda Mobilio MPV has begun at the company’s plant in Greater Noida, Uttar Pradesh. The production of the MPV will begin earnest after July 2014. Honda India has started teasing the Honda Mobilio MPV. A website has been setup where customers can more information about the upcoming MPV and also express their interest in buying it. 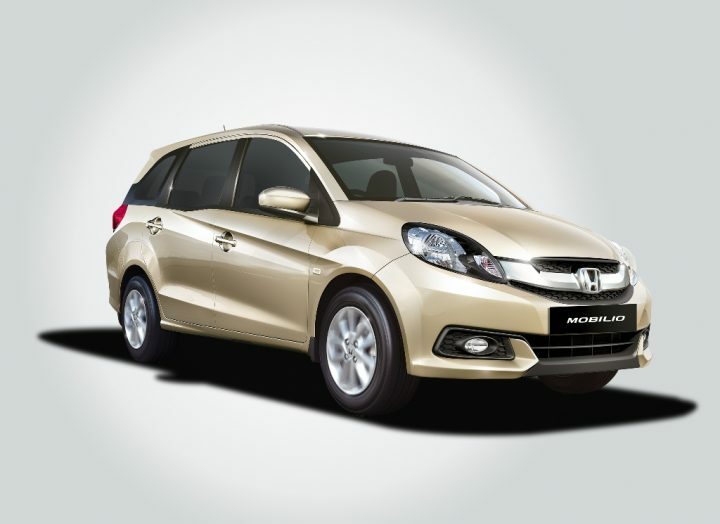 The website says that the MPV will be launched in India in a few months time. In a small update, it is reported that Honda will start production of the Honda Mobilio MPV from June 2014 a bit later than the previous news suggested. It has also emerged that Honda will not be producing the MPV at their Tapukara plant in Rajasthan, instead it will assembled at the company’s Greater Noida plant. About 45,000 units of the MPV as expected to be rolled out in the first year of production and the first units should be delivered to customers after July 2014. Honda will use the same variant division for the Mobilio as the other products in its lineup, meaning that there will be at least two petrol variants offered with an automatic transmission while the diesel variants will only be mated to manual transmissions. Engine options should be the same as the ones used in the Honda City, the 1.5-litre petrol and the 1.5-litre diesel. Honda Cars India will start deliveries of the upcoming Honda Mobilio to buyers by June 2014, a report by the Financial Express claims. The Honda Mobilio will be produced at Honda’s new plant in Tapukara, Rajasthan which will be fully functional by March 2014 and immediately start producing the light MPV. The Honda Mobilio will be Honda’s second car to enter the market in 2014, the first being the 2014 Honda City. 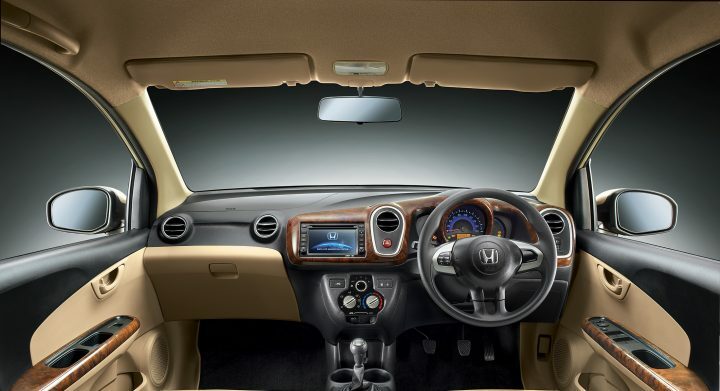 The Honda City will be launched in the market in January 2014, deliveries will be made the same month, bookings of the car will be open later in December 2013. The Mobilio will compete with other light MPVs in the market such as the Maruti Suzuki Ertiga, Mahindra Quanto and Chevrolet Enjoy. Though it will not measure below 4-meters and hence not be eligible for excise benefit, it will share many parts with the Honda Amaze sedan to keep the price competitive. Honda has unvieled the Honda Mobilio, an MPV based on the Honda brio hatchback at the 2013 Indonesian Motor Show being held in Jakarta. The Honda Mobilio is visibly longer, taller and has more ground clearance than the Brio hatchback. At 4390mm, the Mobilio is 780 mm longer than the Brio and 400 mm longer than the Amaze. It’s wheelbase at 2650 mm is 305 mm longer than the Brio and 245 mm longer than the Amaze. It is 1605 mm tall, 105 mm taller than the Brio and 100 mm more than the Amaze. Ground clearance is an impressive 185 mm which is 20 mm more than the Brio and Amaze. 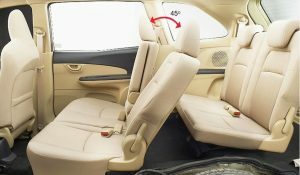 In short, the Mobilio will be very spacious on the inside, in terms of legroom and headroom. Styling wise, the Mobilio shares the front with the hatchback, it would be a bit difficult to differentiate between the two if looked at head on. The differentiating factors include the new Honda ‘wing’ grille and an aggressive front bumper. 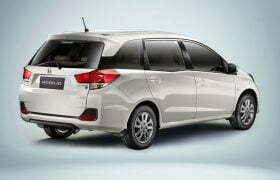 Leaving the similar front design, the rest of the MPV is very different from its Hatchback or the sedan cousins. The side features very aggressive line and surfacing, the highlights being the small kink in the rear door and the floating D-pillar. Move to the rear and you get BMW-ish tail-lamps, aggressive bumper and a stylish rear-hatch door. The 10-spoke alloy-wheel design looks very good combined with the fat tyres. The Mobilio will be powered by the 1.5-litre i-DTEC diesel engine doing duty on the Amaze and a detuned version of the 1.5-litre i-VTEC petrol motor found on the City. The Mobilio will be offered with three-row seating, interiors of the MPV are expected to be similar to the Brio but will get its own design features just like the exterior. 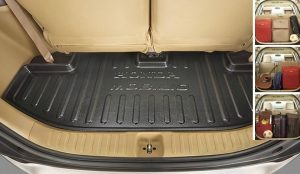 Expect Honda’s legendary packaging skills to work its magic in the Mobilio too, there will be a lot of storage space inside and will give the reining leader, the Ertiga a tough time when it is launched in India sometime in the second half of 2014. The Honda Mobilio will be first showcased in India during the 2014 Auto Expo in February. We are pretty excited, are you? Let us know your thoughts on the Honda Mobilio in the comments section below. The 2013 Indonesian Motor Show which begins on the 19th of September in Jakarta, is still a few days away. 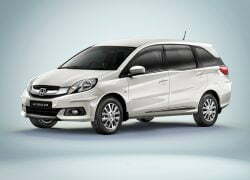 However, details of the Honda Brio MPV, which was supposed to be launched during the event, has already been leaked. The content of a leaked dealer training dossier, tells many things about the MPV. 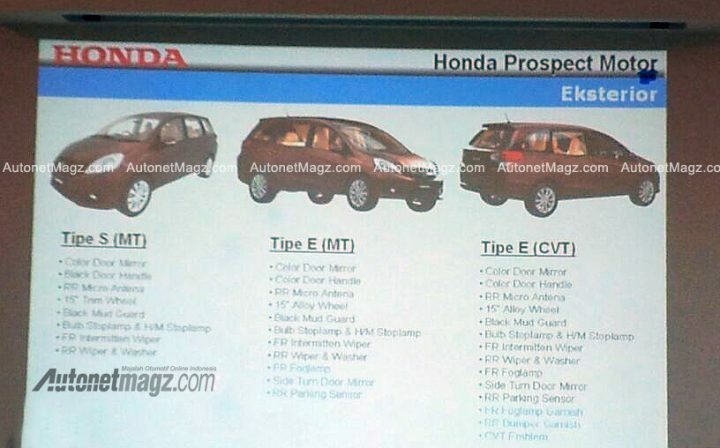 Another leak from Autonetmagz reveals that the Brio-based MPV will be called the Honda Mobilio. If you look closely at the image below, the Honda Mobilio looks pretty much like an MPV, even though it is based on a hatchback. The proportions look good, though the MPV retains some signature cues from the Brio like the front end design. The design also stays true to the sketch released by Honda earlier, with the kink after the front door and the semi-blacked out rear-pillar. The rear features a tapered windscreen and it looks like there will be enough space in the MPV for seating 5 people. According to the dossier, the Brio MPV is going to launch in three trim levels – S,E and E CVT. The common features in all the variants are adjustable steering, tumble seats for the 2nd and 3rd row, dual airbags and an engine immobilizer. The door mirrors in the ‘S’ variant are body colored. It has 15-inch rims, rear wiper and washer, single DIN audio system with two speakers, tilt steering, power windows, powered mirrors and dual front airbags. The ‘E (MT)’ comes with 15-inch alloy wheels, fog lamps, indicators on door mirrors, parking sensors, 2-DIN audio system with two speakers and iPod connectivity, sliding second row seats, key-less entry and dual AC. Apart from all the features of E (MT), the ‘E (CVT) has got a garnished bumper, ABS and a CVT gearbox. Amongst loads of features of interiors, the chrome aircon vents stand out. Honda is going to launch the MPV with a 1.5-litre petrol engine in Indonesia. It may be launched in India with similar engine specifications early next year. We do not have any other info about the the new MPV as of now. We will have to wait and watch on when Honda makes an announcement about launching it in India, we hope they do it during the 2014 Auto Expo in January. Keep tuned to Car Blog India for the latest information on the Honda Brio based MPV.